SHE’S BEAUTIFUL, SHE’S TALENTED AND SHE’S A SURE SHOT HEADLINE-MAKER. 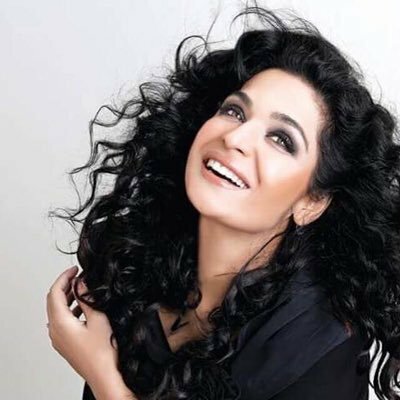 THIS WEEK, I CHAT WITH THE GORGEOUS MEERA JEE ABOUT HER BIG LOLLYWOOD COMEBACK, FEELING JEALOUS OF THE COMPETITION AND FINDING HER DREAM MAN. I was barely in my teens when I did my first ad in 1995. From there, I got an offer for movies and never looked back. May I ask, what is your date of birth? What is the one thing you have that other actresses don’t? Jacqueline Fernandez. Her sultriness and that extra oomph factor remind me of myself. I want to be stronger spiritually, and have more faith in myself. You were the queen of Lollywood, but have been missing in recent years. Why is that? I took a break for over two years and traveled all over the world (you can check my Twitter account to see all the amazing places I visited), and I was also very busy with my charity hospital project. Now I’m back with a big bang, and have signed on a couple of amazing films. You’ll see me reigning at the top again very soon! You were one of the initial Pakistani actresses to work in Bollywood, but you only did the one film. Why didn’t more projects follow? After Nazar, a lot of offers came my way, but all from small production houses. I was also asked to do a film based on ‘Jhansi Ki Rani’, but I refused all offers at the time because I couldn’t find a good agent. I also felt it was time for me to come back to Pakistan. I was very homesick! Nilofer Shahid and my sister Aasia Olf. Nabila Maqsood and Jugnu Waseem. You’ve done quite a few item numbers. Which is your favourite to date? Yes, I have done a lot of dance songs and they have all been perfect because I’m a complete heroine. I can’t pick just one, they’re all my favourites. Will 2017 be the year we see you finally accept a wedding ring from someone? I don’t expect anything from my family, but I hope that my friends will support me in finding a husband. Workaholic men are very attractive to me! A good education, ambition, grooming, style, humility, fashion awareness and being polished are all very important qualities in a man. What is your definition of “husband material”? He should have a good choice in cars, a stylish house and should have good standing in society. He should not be a liar or a show-off in any way! Also, he should definitely be more succesful in his career than I am in mine. Do actresses feel jealous of their competition? Obviously, it’s only natural. I also get jealous. Who, in the industry, are you jealous of? Why is Mahira Khan getting all the commercials? I don’t like this. During my travels to America, I went to finishing school and learned a lot there. I hadn’t completed my schooling, as I came into movies in my school days, so it was a much needed experience. What would you do if you were stuck in an elevator with Reema Khan? I’ll get her advice on marriage. What’s the worst rumour you have ever heard about yourself? I hear rude comments about my spoken English all the time, and rumours on my marriage scandals. Which movie do you think is overrated these days? Rank the following in order of acting talent – Mahira Khan, Saba Qamar, Mehwish Hayat and Urwa Hocane. Saba, Urwa, Mahira and Mehwish. Shaan is number one of course! Then Moammar, Ahsan and Humayun. I would delete Fawad from Facebook, make Ali Zafar my brother, and go out on a romantic date with Imran. Choose one: HUM Awards or ARY Awards? Morning shows or talk shows? Before we end, please tell us about your charity hospital project. It is called Shafqat Zahra Hospital and it is my dream project! I can’t wait for it to be completed in the near future.